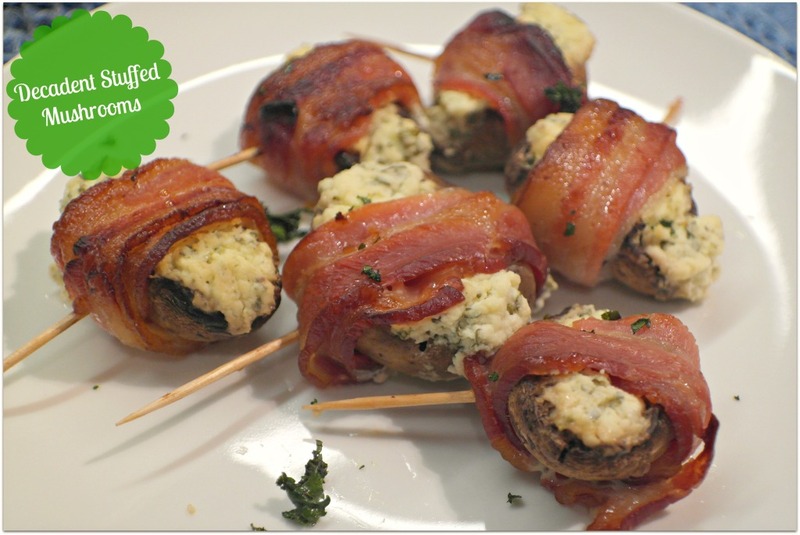 These bacon wrapped mushrooms are seriously mouthwatering morsels of goodness that will have any mushroom fan begging for more. We have these quite regularly as a side dish, although they went down a treat when we had friends over for dinner recently when I made them as pre-dinner nibbles! This roasted cabbage recipe is one that’s definitely worth a go: The result is a side dish that will impress… It’s absolutely scrummy. Talk about taking the humble cabbage to a whole new level! 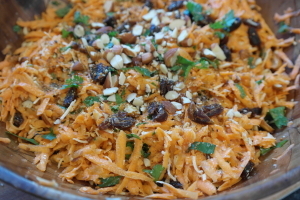 You can get creative with this recipe – I’ve made lots of variations now, including adding a touch of grated parmesan, using different herbs and spices (any of the Masterfood seasonings are great, i.e. Moroccan Seasoning or Tuscan Seasoning), or roasting it simply with olive oil and drizzling it with balsamic cream at the end. Our favourite version is below. Quietly, I’m high-fiving myself at finding a vegetable recipe that Hubby requests. 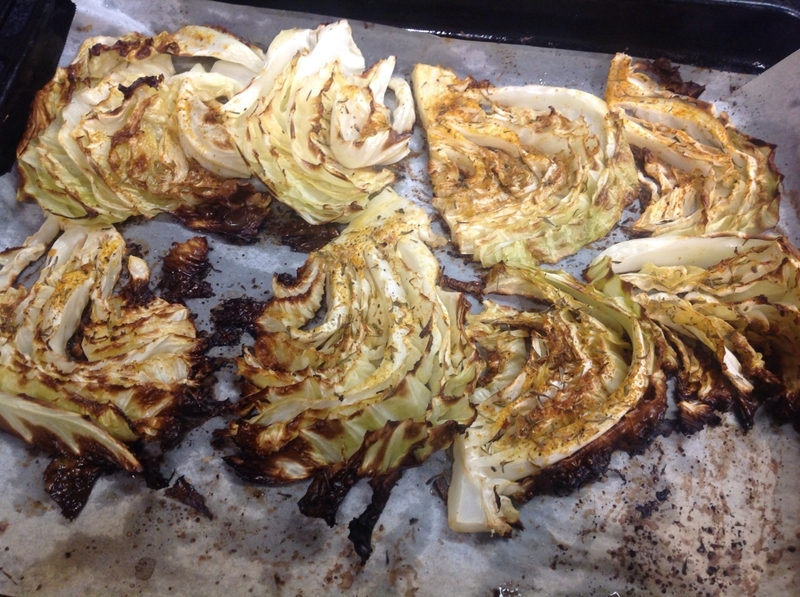 Give it a go – I reckon roasted cabbage is one of the most surprising vegetable dishes ever! 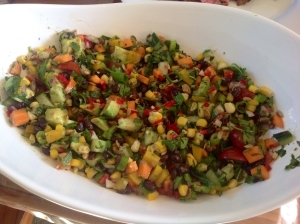 This is the roast vegetable salad that I took to a pot luck dinner on Saturday. I shared the photo on my Facebook page and it got a fair few thumbs up, as well as requests for the recipe. No worries – here you go! 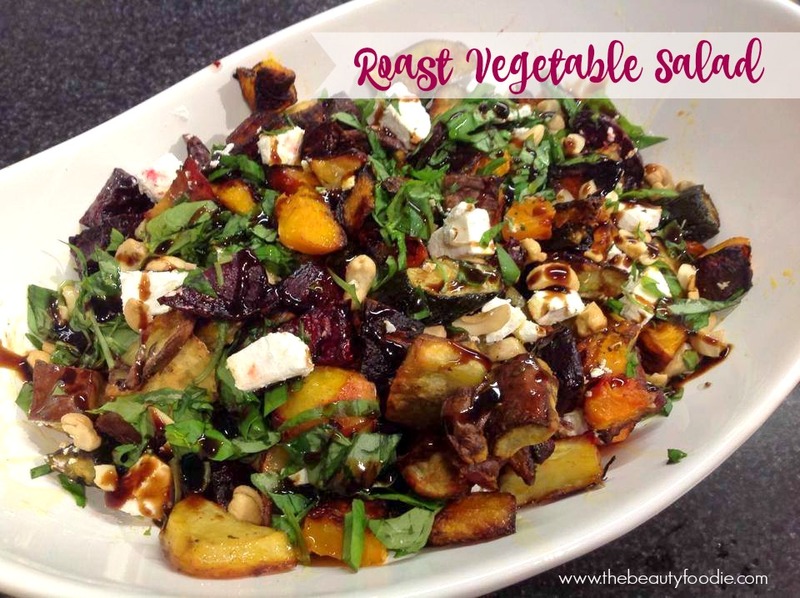 As I made this roast vegetable salad (it’s a recipe that’s in my head), I realised I’ve never never made this the same way twice… That’s because I always make it with whatever vegetables I have on hand and this will vary from season to season. Sometimes I fold baby spinach leaves or rocket through the cooked and cooled veges at the end. Sometimes I use blue cheese instead of feta,.. Sometimes I use pinenuts or even dukkah instead of cashew nuts as a garnish. You get the idea! 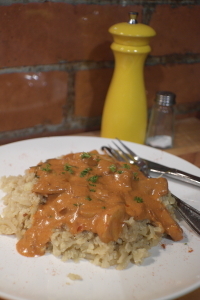 Go with the flow and tailor the recipe to suit your taste buds. Nevertheless, below is the recipe as I made it, exactly, on Saturday! This is a great addition as a side salad to a number of main courses, like a roast joint of meet, or even as a side with chicken breasts. I’ve also been known to use leftover roast vegetable salad in a frittata or in an omelette the next day. Super versatile: My kind of food. 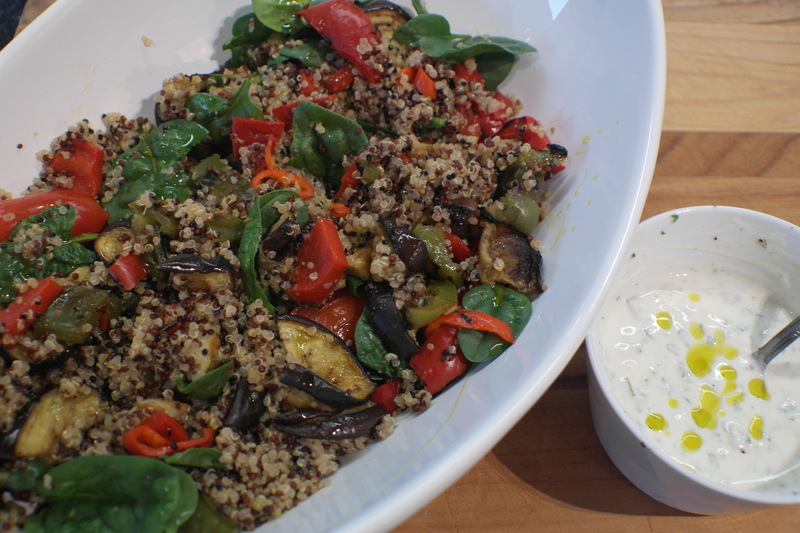 I think this Quinoa Salad with Chargrilled Veges and Garlic Yogurt Dressing could be my best quinoa salad recipe yet. This is actually the third salad recipe on this blog featuring this yummy and healthy ‘wonder grain’ on this blog. 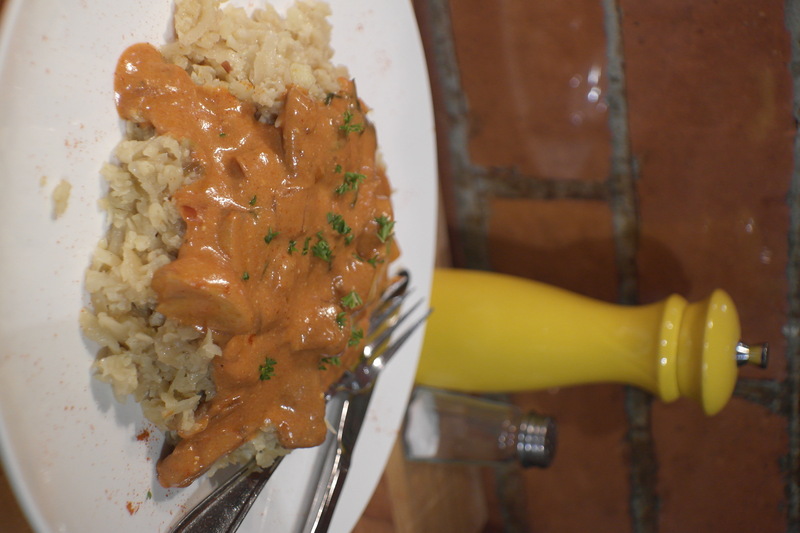 Seeing as the other two recipes have been super popular I thought “why not?” Indeed, this dish is high in WOW factor. Get in quick and rustle this up before the price of capsicums and eggplants skyrocket Downunder as we scurry into autumn. Low in fat and high flavour this salad ROCKS as a lunch dish on it’s own, or, it is the perfect accompaniment to a beautifully cooked piece of meat (we’ve had it with steak as well as roast chook) and there’s always lots left for lunches for the next few days (this recipe feeds 6-8 but we are a family of three!). I went to the gorgeous Mamacita Mexican restaurant in Havelock North. I can’t decide what I like best… Their food, their service, or their decor: All top notch, go check it out if you are in the area! Anyhow, we ordered the most fantastic eggplant salad. It was so good I took a photo, made mental notes and tried recreating it the next night at home. The result? 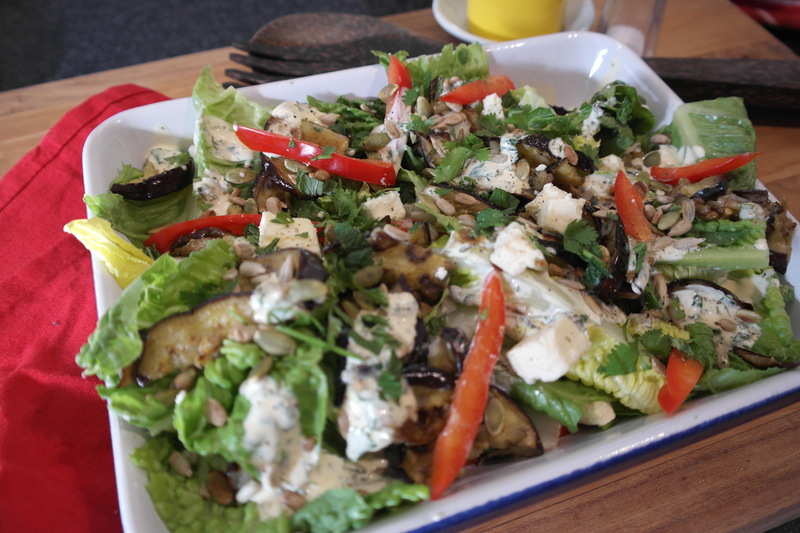 I was chuffed with how it turned out (just quietly, I reckon my freestyle version with the addition of mint and feta took it to a whole new level!). I’ve been making this recipe for the last month or so, playing around with different combinations to get it just right. I’ve finally cracked it. This delicious salad is the perfect accompaniment to BBQ or pan fried chicken breasts (rubbed in Mexican seasoning) and Mexican Street Corn.